Well, I would probably be able to entirely feed my Coke Zero and Netflix addiction for the rest of my life. 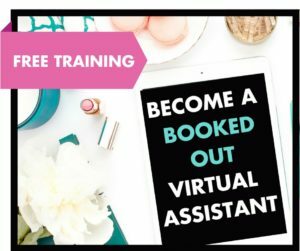 I am a huge proponent of starting off your Virtual Assistant business with offering the skills that you already have. That could be skills that you learned from a previous job or past experiences. However, once you get into the “VA world”, you’ll quickly see that there are certain tech skills that are very useful to learn, as soon as possible. Today I’ll be explaining 10 of the most in-demand tech services for virtual assistants. If there are 10 services you should add to your list of offerings, this is it. Canva is my hands-down favorite graphic design tool! 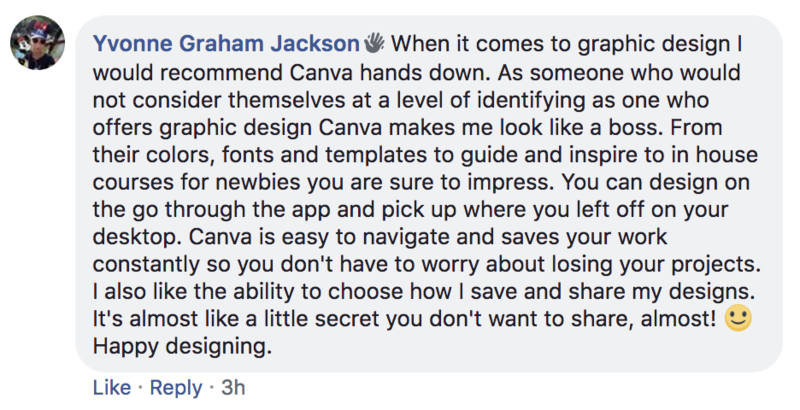 Canva is easy to use, and their program makes it simple to create social media graphics, blog post graphics, documents, logos, eBook covers, ad graphics, email headers, marketing materials, and MORE on the fly! No courses are necessary to learn Canva; Canva comes with free layout designs to spark the creative side of your business. This program also makes it easy to impress clients with your newfound graphic design skills. Ten blog post graphics? No problem, coming right up! Does it cost or is it free? Canva has a free forever plan, which includes two folders to organize your designs, 10 team members, 1GB storage for photos/assets, access to 8k+ templates, and uploading your own images. You can upgrade to Canva for Work for $12.95/month (TOTALLY worth it in my opinion!). Canva for Work features include unlimited folders to organize your designs, up to 30 team members, unlimited storage for photos/assets, access to 300k+ templates, a search function, priority support, and the ability to upload your own images, magically resize your designs, upload custom fonts/colors for your brand, and create team templates. For more information on Canva’s pricing, click here. ConvertKit is an email service provider (a company offering email marketing and bulk email services). An email service provider is the place that holds email addresses for your email list and allows you to blast out newsletters and other marketing materials as needed. ConvertKit itself is geared towards content creators, such as bloggers, podcasters, and other businesses building an audience through their email list. ConvertKit starts at $29/month for 0 – 1k subscribers. Subsequent plans are $49/month and $79/month for 1k – 3k and 3k – 5k subscribers accordingly, and a custom price is calculated for lists at 5k+ subscribers. For more information on what’s included, click here. Becky Linot, of Tech Side Simplified, LOVES her some ConvertKit! Trello is a productivity tool that is AMAZING at organizing projects. Whether your project is on a small or large scale, Trello is robust enough to handle it. Trello’s “claim to fame” is that it is a “visual” organizer, placing items in a visually pleasing way in a board format, using lists and cards to categorize smaller. Trello is very intuitive to learn, and it is a powerful project organizer. This is a great place to keep track of details for your business, projects for your clients, and even any and every facet of LIFE, if desired. 🙂 The best part is that you can share boards with separate clients without any crossover or unease that a client might see something that’s not their business (literally). Trello is completely free to use, and as a single user, it can be used almost to full capacity in the free plan. If a team needs several integrations (called power-ups), larger storage, or more security, a business plan might be the way to go (starting at $9.99/month/user). For a full range of features and pricing, check out Trello’s pricing page here. 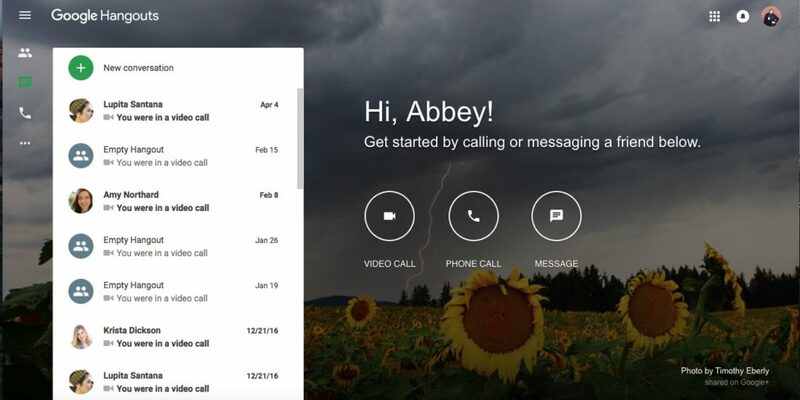 Leadpages is a landing page builder. A landing page, or sales page, is a place to collect leads, offer opt-ins, and is considered one of the BEST places to convert visitors into customers. As a VA, having experience in Leadpages is a great skill to write on your resume to show off your talent and worth. Building landing and sales pages for your customers, especially ones that convert, is a very VALUABLE skill to have! It’s a win-win for everyone, really. Leadpages is the #1 landing page builder (the most popular), which makes it a great choice to learn. Leadpages starts at $25/month paid annually, or $37/month paid monthly. Feel free to check out their annual and monthly plans and what features are available here. Lacey Stark, of Lacey Stark + Co., LOVES Leadpages! Pinterest Management is basically setting up and managing a Pinterest account to use Pinterest at its full capacity. Pinterest is a search engine, as opposed to a social media. Therefore, managing Pinterest includes adding SEO-rich keywords to key boards and pins in order to be found by ideal customers, optimizing graphics, following influential pinners, and repinning lots of pins in order to be found on Pinterest and to stay on top of the Pinterest game. Pinterest Management is a valuable skill to have right now. Several business owners are starting to learn more about how to leverage the power of Pinterest as a marketing tool, and how to get found by ideal customers on Pinterest. If you experiment with Pinterest and can show positive trends in case studies as a result, this might be a valuable ($$$) skill to add to that resume! Webinars are one of the hottest list building and selling tools used by internet marketers and online business owners today. The basic idea is to gather a group of people online, give them some valuable information via web presentation, and then give them some kind of offer for your course or program. Webinars get huge results, as they show immediate value to the prospective client. There’s usually some element of urgency added to the webinar to increase live sales (like a bonus that is only available if you purchase live, during the webinar). While webinars are SUPER effective, they can also be SUPER time-consuming. There’s a lot to do to set up a webinar well, so entrepreneurs are often looking for someone to help them lighten the load. There are some paid tools out there that you can purchase to help facilitate your webinar. However, you can also put on a completely free webinar using simple tools like Google Hangouts and Chatango. Facebook Management is becoming an admin of a business owner’s page or group and managing it effectively. This is going to look vastly different depending on what the client needs, and whether you are managing a page or group. Facebook management can look like anything from moderating comments to regularly scheduling and posting social media graphics. Facebook is basically the new internet. Everyone has a Facebook, and if a business isn’t on Facebook, it might as well not exist. Facebook Management is pretty simple to learn and easy to do, especially since so many of us use Facebook for business and pleasure. 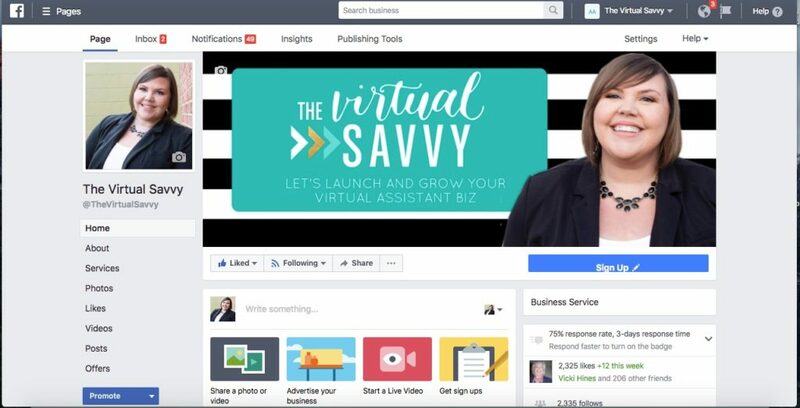 Almost every single client that you sign will have some type of Facebook page or group, so knowing how to manage it effectively will be a valuable skill to have in the holster. Facebook Ads consist of creating and targeting a marketing ad campaign to an ideal customer but in the Facebook platform. Facebook Ad skills consist of a wide range of actions, from setting up and running the ad, to A/B split testing and tracking/measuring ad conversions. Facebook Ads are all the rage right now, as they generally have a very high ROI (return on investment). Generally, Facebook leads are low cost, serving most business owners with what can be a great value for a really reasonable advertising budget. Facebook Ads are one of the most popular forms of advertising right now, so adding this marketable skill to your resume can give YOU some very high ROI! 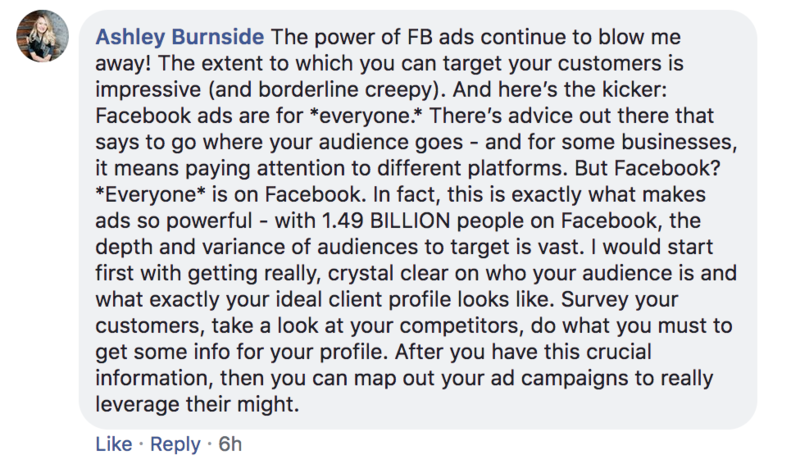 Facebook Ads cost money to use (an advertising budget), but that cost will be provided by the client if you are offering Facebook Ads as a service. The real skill comes in when you can start to learn how to MASTER those ads. SEO, or Search Engine Optimization, is essentially the art of getting found by Google. By instituting some great SEO practices on a website, a website has a higher chance of being pushed to the top results of a search engine and generating natural leads. We love the free Yoast SEO tool to help with increasing SEO on your WordPress site! SEO, when done correctly, is a high-end service. Business owners recognize the value of getting found on search engines and having the ability to generate natural, organic leads. When SEO is implemented with best practices, it can take as little as 3-6 months to rise to the #1 spot, which is a very precious and coveted spot! Learning SEO can be free, but it would take a lot of reading up and verifying sources. Investing in a great SEO class can be worth the cost, especially since adding SEO to your repertoire will greatly increase your worth as a VA! Squarespace is a website builder in an all-in-one content management system. Squarespace essentially acts as the website developer, and the user is the website designer. Squarespace has hosting, domains, email, and storage built natively into its system, so no plugins or themes are required to build a beautiful website. Squarespace is one of the best services on the market right now that allows users to learn how to build and design a website. It’s easy for beginners! Their service is intuitive and simple to learn, and the ability to add website design to your portfolio/resume is SO worth it ($$$)! Squarespace is free to learn, as they offer two-week trials with no credit card required. There are tons of free tutorials online that can help you get started. Squarespace starts at $12/month annually or $16/month monthly as a paid service (i.e. to make your website LIVE). What tech are YOU most excited to learn for your business!? Want to master MORE tech so you can land HIGH END clients for your business? Check out our tech membership site SAVVYTECH! 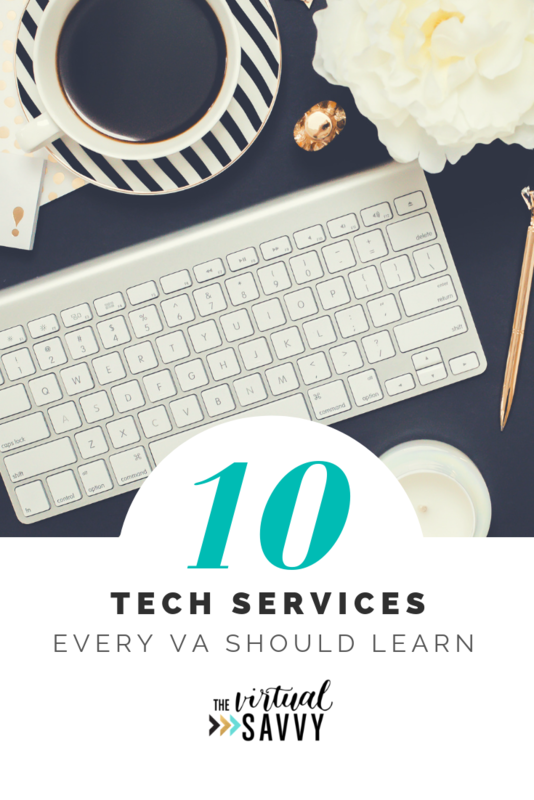 What tech skill do you want to add to your list of offerings as a VA? Wow, thanks for posting this! I’ve been wondering what new skills I should learn as my business grows! They’re always changing but knowing these make a big difference! Thank you, Abbey! You always deliver a lot of value…in a very classy way. This is just great! Thank you for posting. Some I know, some I’ve been too intimidated to learn. You laid it very simply to understand. Thanks again!!! Thank you so much. I know now the tech skills that I need to learn to be a skilled VA.
Hi Abbey, thank you for great post. Do you use any tools for keyword research for SEO? Thanks! I currently don’t but I found this really great article! Thank you, Abbey. This is so helpful! Excited for Tech in 10. Did you enjoy Tech in 10? What kind of tips would you like to learn next time? I agree about those skills but I don’t have the patience to learn them. I wonder if it would be ethical to offer these services but outsource them? Our group on Facebook has so many qualified people who offer these services. That’s the great thing about outsourcing! You can find someone who enjoys those tasks and does them well. It takes it off your plate and gives you more space to do what you do best. Do you train on any of these in your Bootcamp? We cover Canva in the Bootcamp! If you are needing Tech tutorials, make sure to check out SavvyTech! Thank you for the information. There is so much about being a virtual assistant I am not sure that I want to start my business now. I am overwhelmed with fear since I am not currently working. Do you have provide tutorials on booking travels and accommodations. Do you have a templates on contracts and welcome package for client including questionnaire. I’ve heard we have to be careful when creating in Canva if we want to resell our work. Also wondering if there are any downsides to switching away from WP? Can you still easily SEO your website? Does Square SPace integrate with other tools you may need? Yes, you can use SEO on a SquareSpace site. You will want to check specific integrations to see if they offer the one you are looking for. SS does not have all the capabilities that a WP site, does, but it is definitely a great option to get started!